The Hydro-Jet allows you to safely, and effectively clean your instrument with the concentrated power of water. The long and highly flexible cleaning wand is fitted with a special spray nozzle that provides six highly focused and powerful jets of water to blast away accumulated foreign matter. Even the most difficult-to-reach parts of your instrument are easily cleaned by the Hydro-Jet. The Hydro-Jet is very easy to use. 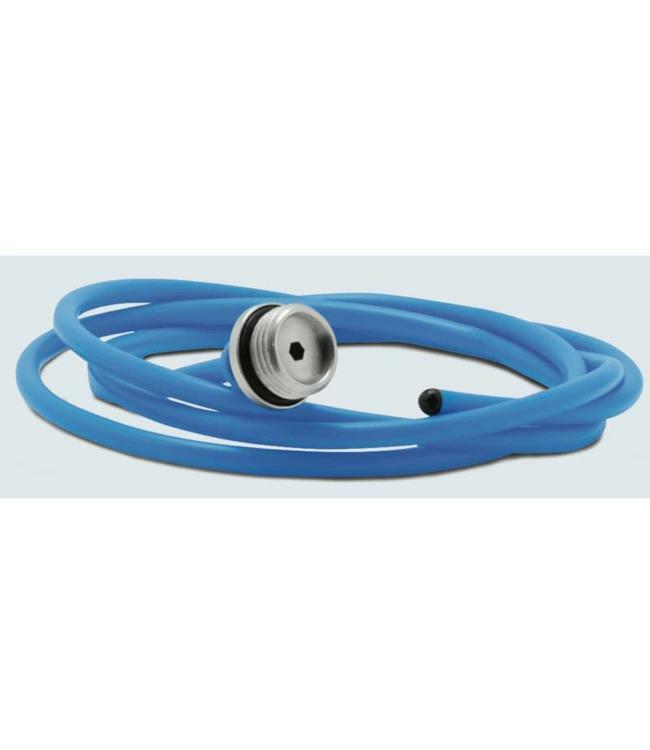 It is conveniently fitted with a 1/2" thread that will attach to any standard shower hose - simply replace the hand- held shower head with the Hydro-Jet, and within minutes you will be powering away contaminants form deep inside your instrument.